So, lately things have been a bit up and down, and I was so fed up with being down that I decided to focus on the little things that made me happy. 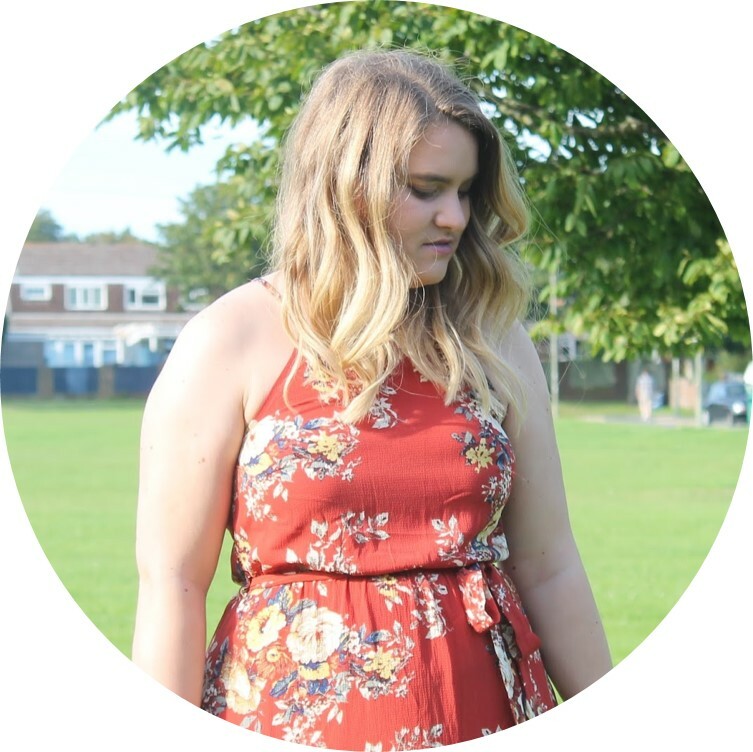 So, to keep it up I thought I would commit to doing it on the blog. 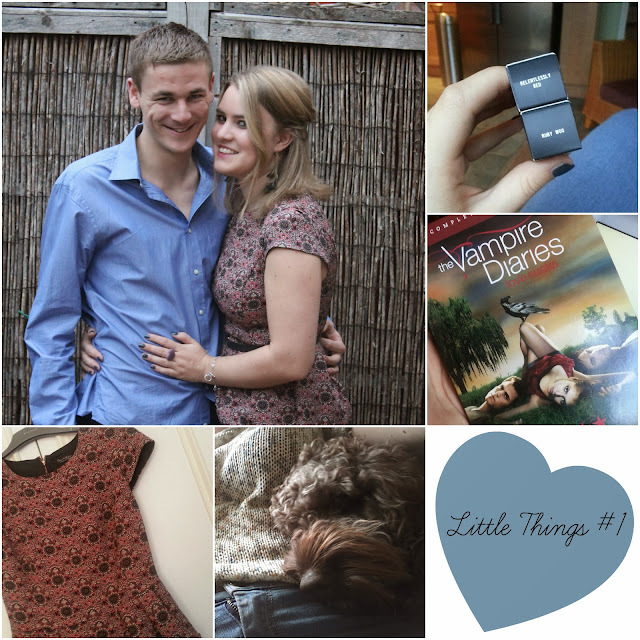 So every Sunday I'm going to do a Little Things post - the things that had made me happy during the week. I didn't see the boy much this week but when I did it was great. Last night we went to his Mum's surprise 50th party and it was so much fun. We've been together for nearly six years now so it was nice to spend the time with his family and friends and be comfortable. You will also see this dress. I bought it about three/four weeks ago as I fell in love with the pattern, fit and just general beauty of it. I always feel that little bit more special when i have a gorgeous dress on that makes me feel good about myself. Today I am puppy sitting as my parents are out for the day. And here he is - snuggled like a teddy bear with me. He is the cutest thing and when I am feeling down a cuddle with this one is definitely one way to cheer me up. Just look at the face!! My bestie Amber has lent me Series One of the Vampire Diaries - I have seen most of it but after that I kinda stopped watching it. I am loving it again so far - I must say that at this moment in time I am totally in love with Stefan. Also, I had a special little delivery this week of two Mac lippies - both from their Retro Matte collection. Ruby Woo I've been after for a while and after swatching it at Paige's I knew I had to have it, and Relentlessly Red is a gorgeous bright pink. Love both! These are the things that made me happy this week. Don't forget to pop over to this post here to enter my giveaway! And have a lovely Sunday!